Unleash the full power of the App Game Kit - a programming language designed to help you create video games that will run on almost any device. 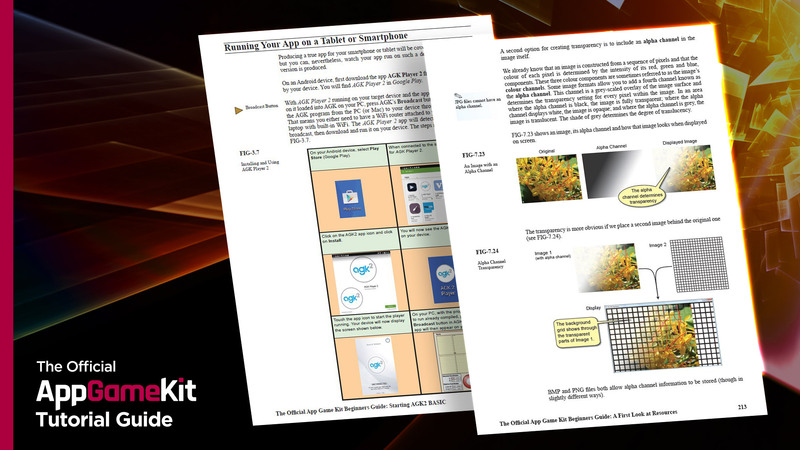 Take a journey from beginner to master with the help of The Official AppGameKit Tutorial Guide! 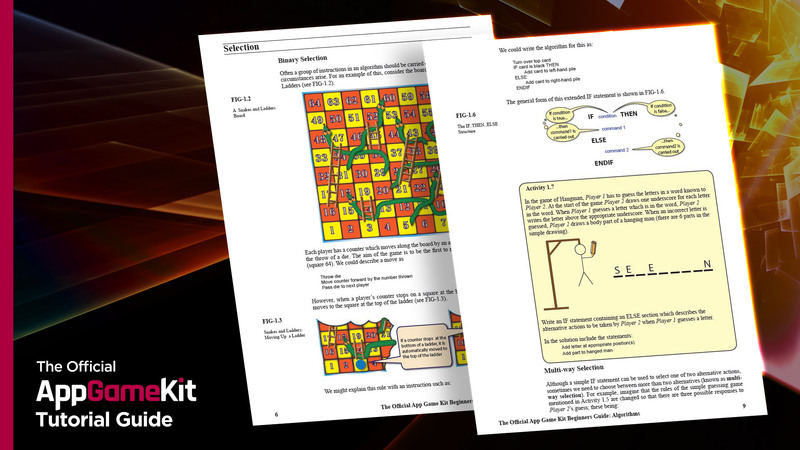 Although the App Game Kit comes with extensive help files defining every statement of the language, it is only by knowing when and how to use these statements that you can fulfill the true potential of this powerful programming language. 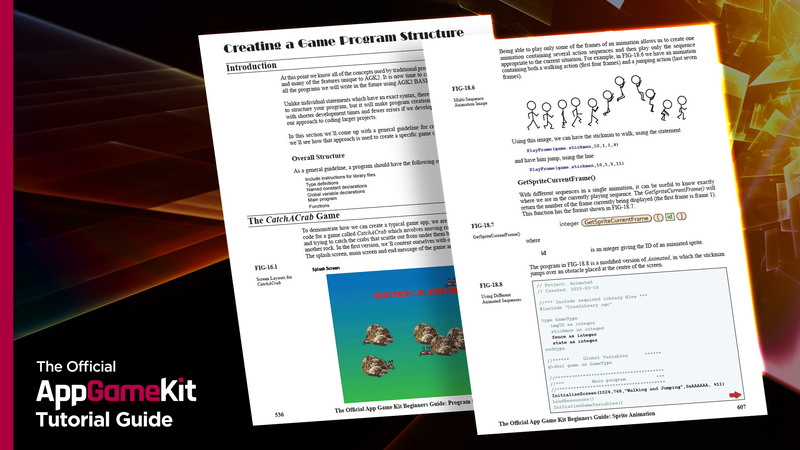 This book has almost 1,000 pages and gives you the expertise you need to fully express your imagination and create your own professional-level games. In the book, you will find a detailed explanation of every statement, often with sample programs to show exactly how the statement operates and how it can be used. But this is more than just a reference book - it is designed to train you in the art of computer programming. As you read through the book, you will move from novice to expert in easy-to-follow steps. You'll find many short and longer programs as well as incremental builds of complete games. 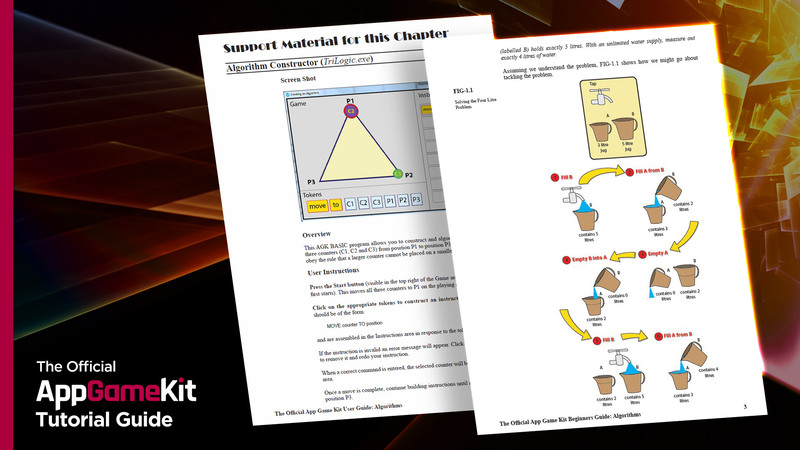 All of this is accompanied by hundreds of activities for you to carry out as you read through the text (with complete solutions, just in case you need a little extra help). Please note that this guide does not cover the new animated 3D, 3D physics and other commands released in V2.0.15. These subjects will be covered in an advanced guide due for release in www. 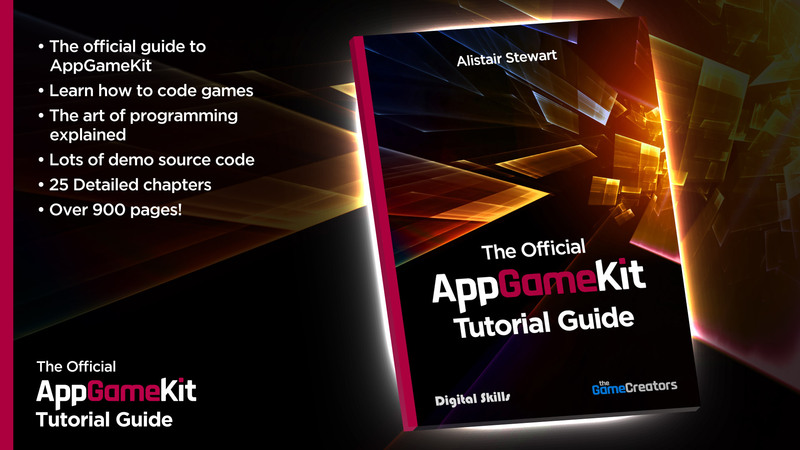 The guide was written and designed by author Alistair Stewart of Digital Skills. He has many years of experience creating educational material to help anyone learn how to program computers. Alistair created the highly respected "Hands On" books that cover many different languages.